Saímos de São Paulo a noite para a Lima direto. Após uma noite e um jantar em Miraflores fomos rumo ao início da nossa imersão na cultura e na natureza do PERU. De avião para Juliaca e de carro para Puno, na beira do Lago Titicaca. 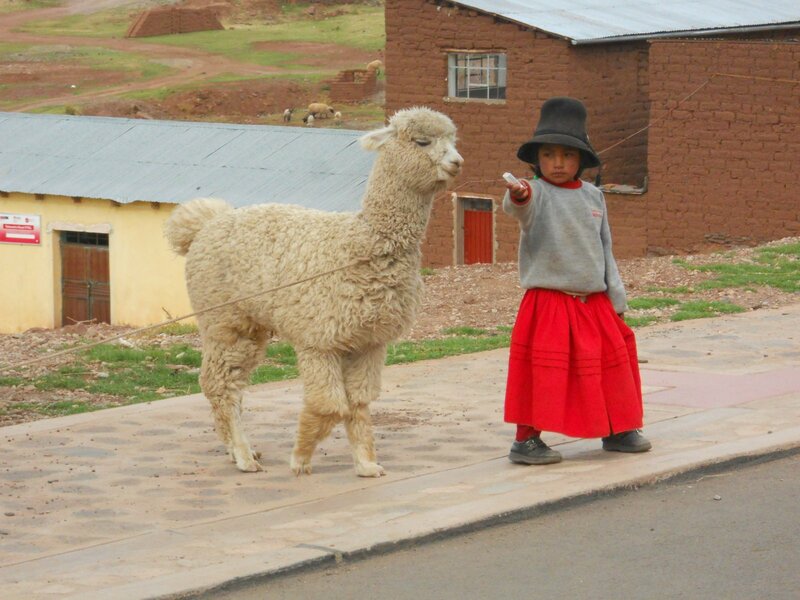 A guia, estudante de turismo, nos permitiu o primeiro contato com a história do Peru, nos mostrou a Chullpas de Sillustani em seus detalhes. 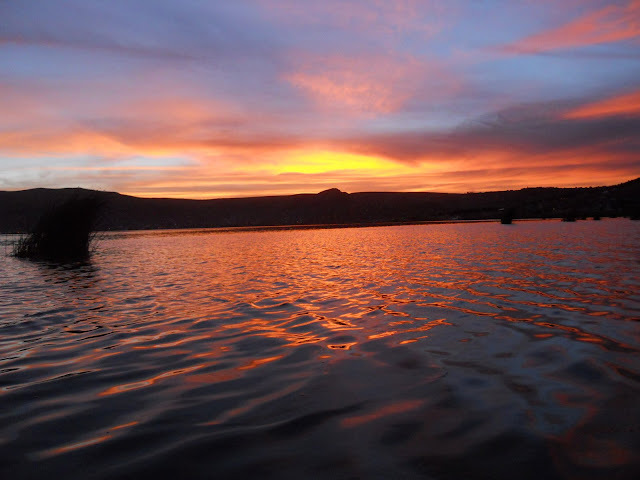 No hotel fomos brindados com uma vista maravilhosa para o lago Titicaca e um por do sol deslumbrante (como você vê acima), o lago ficou em fogo e se misturou com o céu da mesma cor. Acho que foram as boas vindas e o aviso que tudo ia ser sensacional! Eu não acreditava, estava no Lago Titicaca (para mim uma coisa meio mágica), parecia tão distante aqui. We left Sao Paulo in the evening and flew straight to Lima. 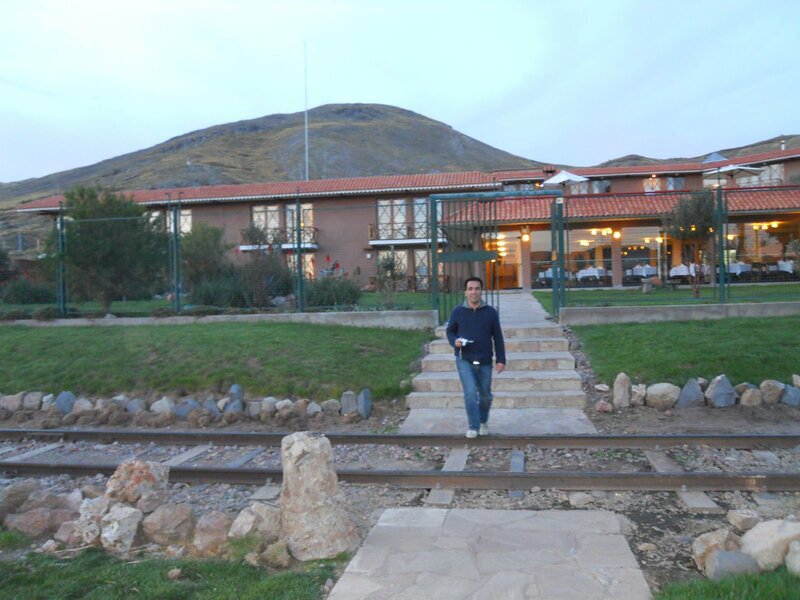 After dinner and an overnight stay in Miraflores we started our “immersion” into the Peruvian culture and the country’s beautiful scenery. In the morning, we flew to Juliaca and from there we drove to the lakeside city of Puno. 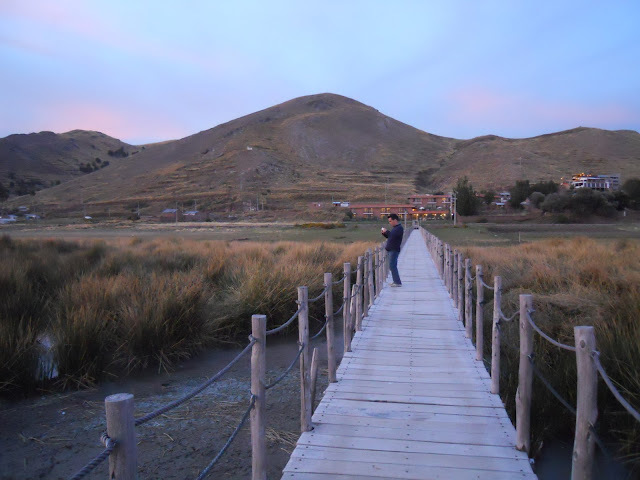 Luckily, the travel agency realized they had forgotten to include Sillustani in our itinerary for the day, so we had the opportunity to visit this amazing site - a pre-Incan burial ground located on the shores of Lake Umayo near Puno. The only minor inconvenience was that we had to skip lunch and snack on crackers with canned tuna instead, but in the end it was really worth it. Unfortunately, since it was a Sunday, all the locals had left to do their shopping; otherwise, we would have had lunch at a friend of the driver’s – wouldn’t that have been awesome?!!! 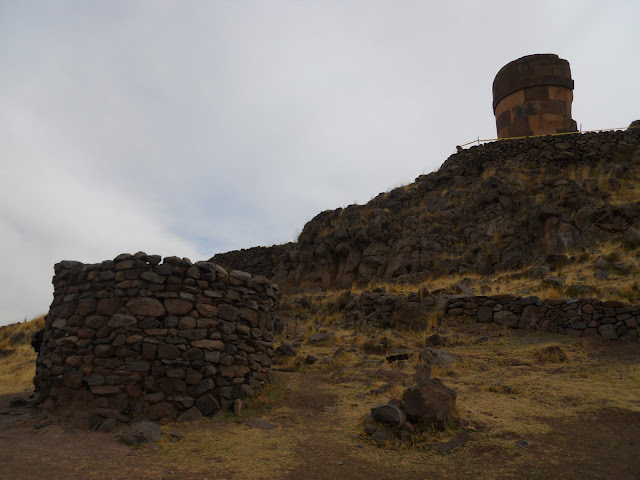 Our guide was a Tourism student and she introduced us to the history of Peru, telling us all there was to know about the Chullpas - the tombs of Sillustani, which are built above the ground in tower-like structures. 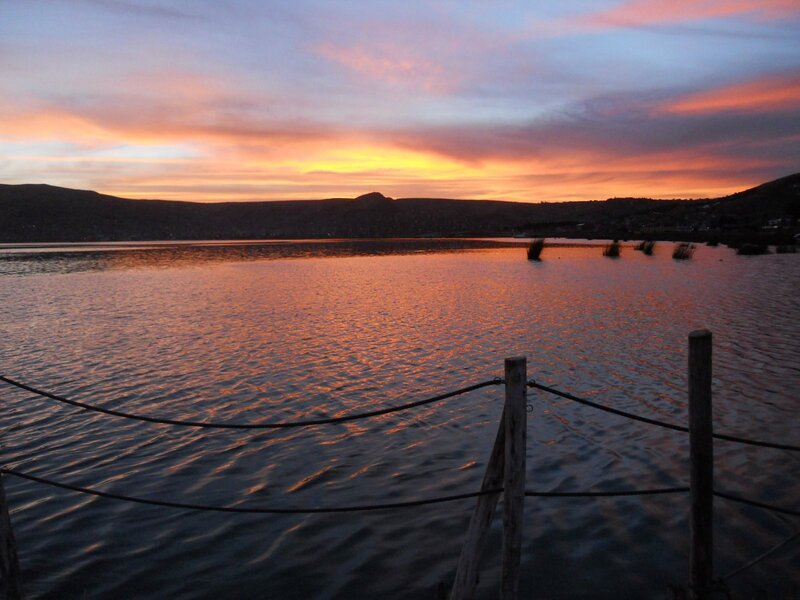 Back at the hotel, we were blessed with a wonderful view of Lake Titicaca at sunset (as you can see in the picture below). It seemed that the lake was on fire melting into the burning sky. I’m sure it was welcoming us and letting us know that we would have a sensational trip! I couldn’t believe my eyes – there I was, admiring the view of Lake Titicaca (a place which is simply magical to me), thousands of miles away from São Paulo!!! Pôr do Sol - sunset!!! 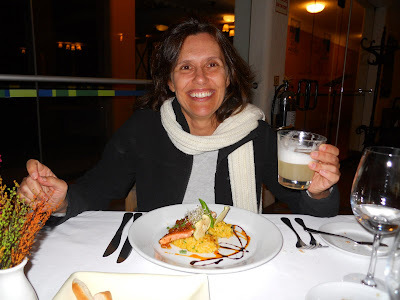 O primeiro Pisco Souer - Pisco (destilado de mosto de uva), limão, açucar e clara de ovo!!! 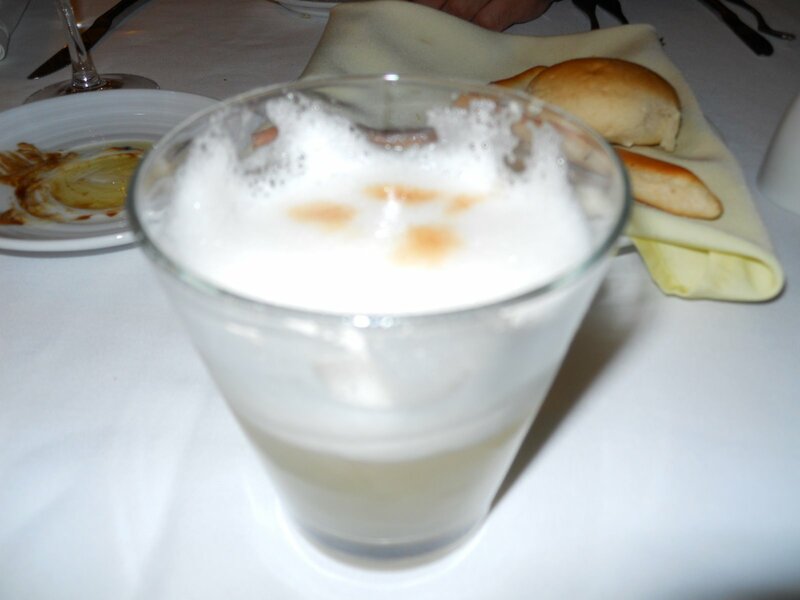 The first Souer Pisco - Pisco (distilled from grape juice), lime, sugar and egg white!! Uau, tipo autora boreal made in Los Andes. Gracias! Nós compramos direto com a viajes pacifico, é uma agencia muito grande lá. Mas a Apumayo deve vender também e nos ofereceu um otimo servico no restante da viagem, veja a aba operadores de viagem. boa viagem! Sensacional esse lugar. É incrível a sensação de paz que as fotos passam. Parabéns pelo post e pela viagem. Abraços.